Since 2018, we have been residing in Butterfly, Karlín. This means an excellent location near the Center of Prague and all amenities. 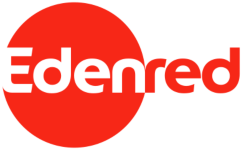 You can look forward to your whole family using Edenred products. Are you awaiting a child, have an upcoming wedding or jubilee here at Edenred? We have prepared some interesting financial bonuses for you. We will offer you 5 weeks of vacation, 2 sick days and the ability to work from the comfort of your home. You don't have a babysitter? You can also bring children to the office. Tea, coffee, water and fresh fruit. We want to create a pleasant work environment for you and we know that these little details can be nice. Life is easier when you have some certainty. We would love to support you in such securities. We learn our whole life. In Edenredu, each employee has an individual budget for education, which they draw for their personal development according to their choice. You can look forward to a summer and Christmas party, St. Nicholas party for your children, a healthy Easter breakfast, popsicle day, and much more. We spread good. Spread it with us – either by planting trees in Posázaví, collecting food for shelters or by support large charity projects, such as Pomozte dětem.